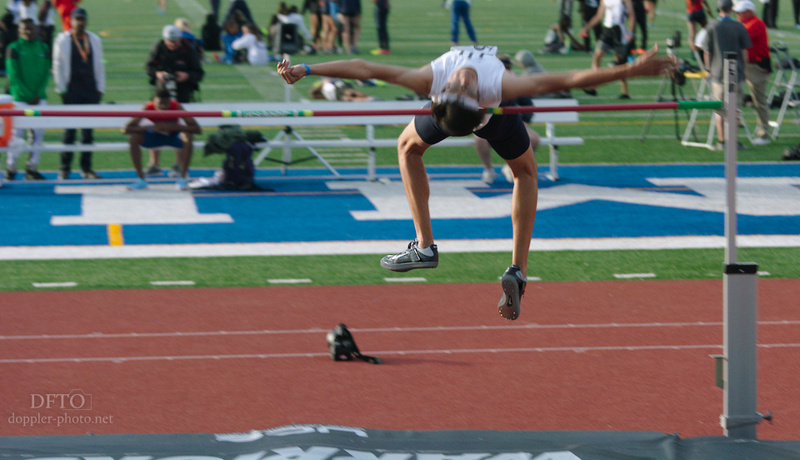 There are two ways to fly in track and field. We covered "up" last time, with the vertical jumps. The other way is "out." The horizontal jumps are all about distance, and a close look at footwork and body position can provide some clues as to what's important and why. First and foremost, long jump and triple jump seem pretty similar at first, but it's amazing the difference that two extra hops can make. When you look at the sprinting events, it's fairly common for elite athletes of both genders to turn in great performances for similar distances (for instance, 100m dash and 200m dash, or 200m dash and 400m dash). Likewise, in the distance events, 5k/10k doubles are also common across both genders. By contrast, there's only one athlete in each gender who shows up in the top 25 for both long jump and triple jump performances. From a high-level perspective, one hypothesis is that the long jump favors power, whereas the triple jump rewards efficiency, and it's difficult for a single athlete to do both power and efficiency extraordinarily well. The jumps are just like the throws, except this time, your goal is to fly. But just like with the throws, athletes combine specialized footwear with finely-honed footwork to make that magic happen. All four jumping events share a pretty basic pattern: first you run, and then you jump. 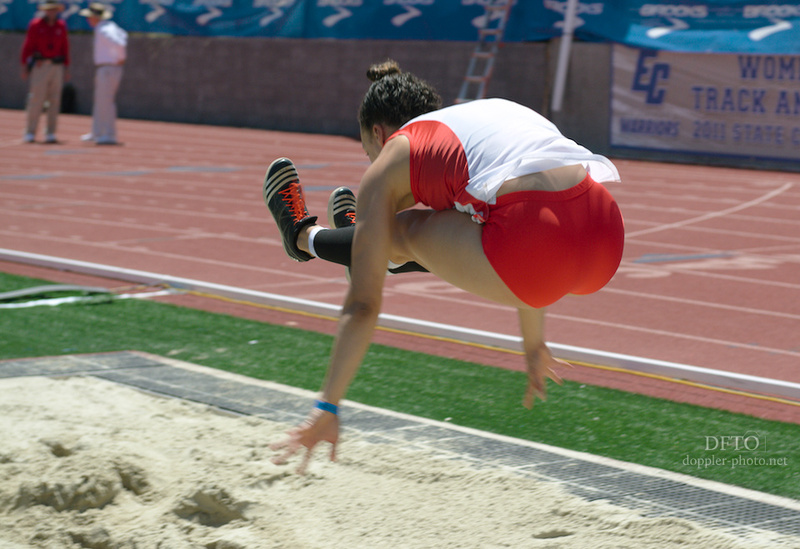 The four events break down into two major categories: the horizontal jumps (long jump and triple jump) and the vertical jumps (high jump and pole vault). The horizontal jumps are all about taking a limited number of attempts and achieving the furthest distance from a set limit line ("the board"). As with the javelin, if you take off from past the board, you foul the jump and your distance doesn't count. But if you jump from behind the board, the room you leave to spare doesn't count toward your total. So the name of the game is to jump from as close to the edge of the board as you can, without going over. The vertical jumps differ in that you have an unlimited number of attempts to jump as high as you can. You are eliminated from the competition after you miss three consecutive attempts. If you clear extra height over a low crossbar, that doesn't help your total — style points don't count — but if you pass to a height that you can no longer clear, then your last cleared height is your final measurement. So the risk-balancing aspect is still present, but it has more to do with fatigue and technical repetition than with the ability to hit a precise mark on the ground.